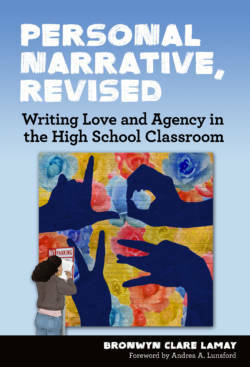 Excerpted from Personal Narrative, Revised: Writing Love and Agency in the High School Classroom by Bronwyn Clare LaMay. The following is from the section, "Love and Agency in Our Stories: Surviving 'Whole.'" Love can be hard to define. I pinpointed it as a topic that was real to my students’ lives and that would hopefully become a door into the literature we would read in semester two of our second year. 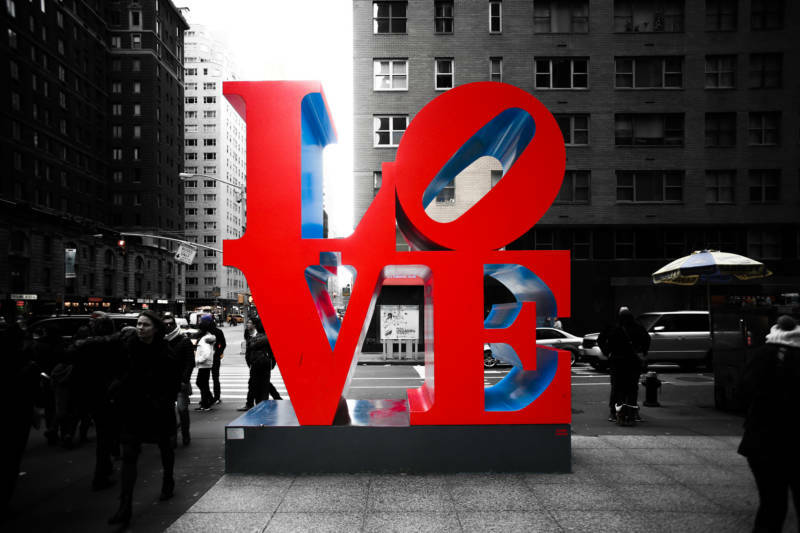 Love was possible to personalize as well as analyze in literary discussion, and it was a seminal theme in the novel I wanted them to read, which was Toni Morrison’s Song of Solomon. Love is salient to Morrison’s writing because she identifies it as the crux of her work. In one her interviews, she explains, “actually, I think, all the time when I write, I’m writing about love or its absence . . . about love or how to survive—not to make a living, but how to survive whole in a world where all of us are, in some measure, victims of something” (Taylor-Guthrie, 1994, p. 40). This connection between love and surviving whole was relevant to my students, and it came out of our conversations that many of them struggled to process moments in their lives when they felt like victims of troubled relationships or life circumstances that were beyond their control. I noticed that they had trouble conveying these experiences without inadvertently writing themselves as victims in their larger life stories. This seemed to me a condition they shared with many of the novel’s characters. Morrison maintains that “each one of us is in some way at some moment a victim and in no position to do anything about it . . . in a world like that, how does one remain whole—is it just impossible to do that?” (p. 40). Through a discussion that moved between Morrison’s fiction and the complex, intimate concerns my students raised in our classroom community, we grew to realize that the answer to this question lay in a critical examination of the connection between love and agency in our own stories. To scaffold the first day of reading, I asked my students to journal for about 10 minutes on the question, What is love? This writing session lasted much longer than I had planned. Two girls began to write and then stopped, on the verge of tears, asking if they could take a moment outside. A few students alternately wrote and stared vulnerably around the room. Several others were still writing determinedly when the 10 minutes were up and requested more time. On this and other journal topics, I always waited until almost everyone was finished and then asked if there were those who wanted to share. I also made it a point to journal each entry with my class and to share my writing with them if they wanted to hear it. This was the strategy that I used to scaffold and engage them in the first several chapters of the novel, as we journaled our way through topics that either they or I suggested could connect them to the reading. This initial topic of love, however, remained unsurpassed in the emotions that it raised. As students volunteered to read their work aloud, a spectrum of unresolved stories about relationships with parents, siblings, cousins, grandparents, boyfriends, and girlfriends—as well as conflicts within themselves—emerged and began to assume some perceptible patterns. Our conversation lasted until the end of class. It felt unfinished, so as we delved into the novel’s opening chapters, I asked them to push deeper to define love in the first personal narrative they would write. A conceptual topic like love allowed students to choose how to respond and how personal to get. One student began with the dictionary and argued that love is hard to define, given the 11 different definitions that she found. Another wrote about how the media portrayed love in misleading ways. Some students wrote about the different loves they felt for family, friends, and significant others. Other students wrote about love as loss, love as fantasy, love as a fairy tale, love as rejection, love as security, and love as a push-pull roller coaster ride with volatile but predictable ups and downs. Several students wrote with conviction that love did not exist. Some wrote about feeling love-deprived. All of them struggled to various degrees to write these papers. As I read them, it grew apparent to me that many of their definitions of love were essentially metaphors for their outlooks on life. Her view was indispensable in the context where I taught. When my students were emotionally distressed, distracted, or withdrawn due to struggles in their personal lives, they were not able to engage personally or academically in class. This was an everyday reality that created stress for me and influenced my decision to invite them to raise real dilemmas in our classroom context. However, the relationships my students built with one another and with me over our first 18 months of working together were vital to the narrative approach I describe in this book, whereby we strove to study and respect our lives as texts. Bronwyn Clare LaMay is currently a high school English teacher at Impact Academy of Arts and Technology, an Envision Education school, in Hayward, CA. In addition to her K–12 work, she has taught pre- and inservice teachers at University of San Francisco, Mills College, Stanford University, UC Santa Cruz, and UC Berkeley.